Although Bitcoin has found itself a niche in the online gambling industry, it is still finding it hard to penetrate into the mainstream. 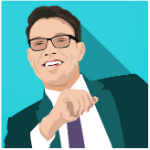 The main obstacle is using Bitcoin in day-to-day purchases. People can exchange the bitcoins they have via Bitcoin exchanges, but this is not something an everyday person can do. What people want in a currency is convenience. Fiat money is easy to use. When someone needs to pay for an item with fiat currency, all they need to do is take it out of their wallet. They do not even have to have the physical cash. Credit cards and other cashless payment systems add another layer of ease. This is where the debit card products of Bit-X come in. A person owning one of these can easily make real-money purchases with their Bitcoin and Litecoin balances in seconds. This opens a lot of doors for Bitcoin, making it on par as fiat currency. The Bit-X debit cards work just like any other debit card. It can be swiped at any card-accepting store for purchasing items. What makes this debit card distinct is that it supports real-time currency conversions for Bitcoin, Litecoin, US dollar, euro, and British pound. With a Bit-X account, to which all deposits will be redirected and the debit card linked, anyone can conveniently use the five supported currencies when shopping online, withdrawing cash at ATMs, or paying bills. Users, however, must ensure that their card has enough balance to complete the transaction. This Bitcoin debit card comes in four types. There is the Anonymous Limited debit card, which is intended for US dollar and euro purchases. This card type has a low credit limit, and cardholders can expect to only spend €250 or $300 with this card. The other Anonymous card, which is also denominated in euro and US dollar, allow users located in the non-restricted countries to raise their credit limit to €/$15,000 by providing personal details and going through the verification process. The Named cards, on the other hand, cover more fiat currencies as they also support the British pound. Users of a Named card has a limit of €/$2,500 and £2,000, but holders of the Named White cards, which is a special card that has low commission and zero monthly fees, have no limits. 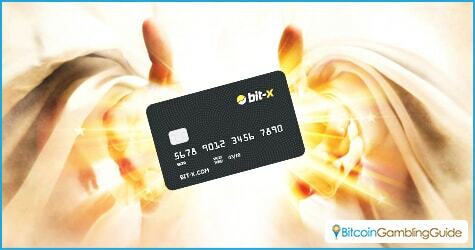 The Bit-X Bitcoin debit card also comes as a Virtual card comes with a lifetime turnover of a maximum of €/$2,500 and £2,000 for one month, three months, one year, or three years. The prepaid version of the Virtual card, however, is limited to prepaid amounts €/$/£100, 500, 1,000, and 2,000 for three years. Users of Bitcoin and Litecoin will find the Bit-X debit cards more than useful. Other than making payments online and offline, they can also receive cashback rewards of 10 satoshis or 0.0000001 BTC for every spent amount of €/$/£0.01. With this unique bonus system lacking in other MasterCard-powered Bitcoin cards, the debit cards offered by Bit-X prove to be ideal for cryptocurrency users who want to save themselves from converting their digital currencies to real money and vice versa. 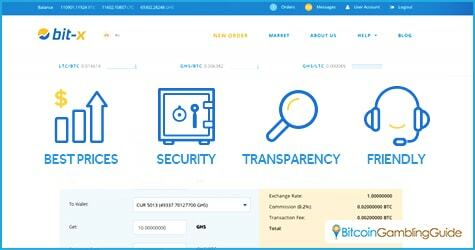 There is absolutely no need to go to a Bitcoin exchange to trade bitcoins for cash, unless it is the safe, secure, and user-friendly services offered by Bit-X on its licensed cryptocurrency trading platform clients will be using.